There was a certain big release over in North America at the weekend, but fear not Europeans! You get to find out what downloads are coming first, so that's one-up right there. We have a 3DS launch title flying in as a retail download, as well as offerings on every platform; you can check out the details below. PIX3D (Gamelion Studios, £3.59 / €3.99) — This latest downloadable title from Gamelion Studios is a puzzler that challenges you to "navigate through the pixels" to find hidden pictures. It promises over 1000 puzzles within three game modes — which seem to revolve around score chasing or beating the clock — along with pixel graphics and retro 8-bit style music. Sounds promising, though we'll put ourselves to the test and bring you a review soon. Dress to Play: Cute Witches! (EnjoyUp Games, £3.59 / €3.99) — This title attempts to blend dress-up fun with side-scrolling shooter 'lite' sections, all in a cute package for children. The flying sections are fun and attractive, though with control quirks and some frame drops, while the dress-up part is lacking in customisation and depth. It doesn't master either of its styles, and you can get more details in our Dress to Play: Cute Witches! review. Pilotwings Resort (Nintendo, £39.99 / €44.99) — Nintendo continues to brings its back-catalogue of first-party retail games to the eShop, with this launch title the next to join in. This long awaited follow up to the SNES and Nintendo 64 titles delivers impressive 3D effects and charming fun around Wuhu Island. Some may feel it's a little light on content for a full retail game, but that didn't stop it getting a strong recommendation in our Pilotwings Resort review. Spirit Hunters Inc. Shadow/Light (Nnooo, 800 Points) — This AR-based RPG has been in the works for a while at Nnooo, promising plenty of levelling up and depth for its most dedicated players. There'll be two flavours of the title available — think Pokémon — which will each have unique spirits that can be traded with friends through a Challenge system. We've had plenty of time with both already, so you'll be able to read our review very soon. The King of Fighters '96 (D4 Enterprise, 900 Points) — It's Neo-Geo, it's a fighting game. One complaint that can't be levelled at the Wii Shop is a lack of top-notch Neo-Geo releases, and this adds to the impressive list. When released it was a step forward for the series, and still has merit today for fans of the genre and the famous old system. 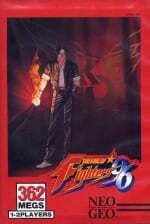 If you want to know more check out our The King of Fighters '96 review. That's your lot this week, with some decent variety to test your wallet. Let us know if you'll be buying any of these downloads via the poll and comments section below. pilot wings resort for 45€ ??? are you kiddin me, nintendo? no games for me this week. no sales either. guess this is the best time to send in my 3DS for repair...finally! Nintendo, you cannot seriously sell Pilot Wings Resort for £40. Nothing for me this week... yet, will wait for reviews on PIX3D and Spirit Hunters. I really enjoyed Pilotwings, i got a used copy for about £15.00 and i was very happy with it at that price, £40.00 is way overpriced. I have absolutely no idea about PIX3D, so at this stage I intend to download nothing this week. Oh well... the less I spend on my 3DS this week means the more I have to spend on my Wii U next week. Where are Denpa Men and Cave Story+?! I'm a bit disappointed there is no Cave Story+, Night Sky, Crimson Shroud, or The Denpa Men. Like BenAV I'll be saving my money for the Wii U.
Whoo. 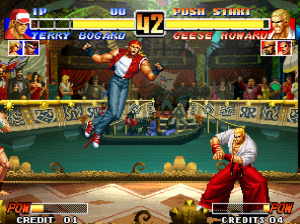 Getting King of Fighters '96. 45€ is a rip off. I understand why they do it but it doesn't change that fact. When the heck are going to get Cave Story +??? Pilotwings was overpriced at release and it's even more so now. Pilotwings Resort... $40? HAHAHAHAHAHAHAHAHAHAHAHAHAHAHAHAHA! Yeah... no. I got this game for $5 at Best Buy, no way I would pay 8x that amount to download this. Nintendo you bunch of jokers. That Pilotwings price is simply crap. The game is a ho-hum effort. I paid $4.99 for a NEW copy of Pilotwings Resort at Best Buy. Nintendo is making me angry with their digital pricing. Yeah, Pilotwings is dirt cheap second hand nowadays. I don't think retail game downloading will be a success for Ninty consoles. I'm still waiting to become a Denpa man & run my own airport, weren't these games supposed to arrive in November? Guess that means they're arriving together next week, hopefully. I'll probably also get Spirit Hunters Inc. if it reviews well. @6ch6ris6 Agreed. I can go to Gamestop and get a copy of Pilotwings for $19.99 USD... Pretty weak to charge full price for that game on the eShop. It's another Nintendo head scratcher lol. That and Steel Diver should be $19.99 and they would sell great. 45€ for digital Pilotwings? There´s something wrong with the pricing. 15 € would be much better at this point. Nothing for me this week it seems. Pilotwings and all the other retail downloads are way overpriced. It's a good idea to offer these bigger games on the eShop but until the prices are reduced significantly, I don't really see a point in buying any of them. I can get the boxed versions for much less. I might get Animal Crossing in digital form, though, because it suits that game very well. But otherwise I just keep buying the cartridges. Where is the Epic Mickey download option? Isn't it being released this week? I thought it would be made available on eShop...Well they still got till friday 00:00 to add it. BUT STILL NO CAVE STORY?! and to be worse,North America is getting another Nicalis this week!? What the hell is going on here??? I see why Nintendo charge £40 for some retail downloads, as it helps stop the boxed game market from dying. However, Pilotwings came out so long ago I doubt it would have any impact at all if they charged £20 for it. 40 is ridiculous. A nice download for me this week, I think it'll be PIX3D, Spirit Hunters Inc. and maybe Pilotwings Resort, I never got round to playing that! How's Virtue's Last Reward not on that list? The e-shop says that a downloadable version becomes available this week. £40 is too much for Pilotwings resort but I still found it to be a very enjoyable game and I think it deserves the 8/10 that NL gave it. Poor fools who will buy pilotwings over eshop. And, seriously, come on Nintendo, I'm getting impatient! Where's Nightsky, Cave Story +, The Denpa Men, Air Porter and so much more that we've been patiently waiting for?!?!?!?!! Nothing interesting this week. I was hoping to spend my 80€ at eshop for something. Pix3D looks interesting, other than that...nothing. Pilotwings Resort is grossly overpriced considering it was a 3DS launch title...most people have either already got it or can find a preowned physical copy dirt cheap now. I'm with BenAv this week. Hurry up 30th! Seriously im so annoyed that the US is getting so much more support on the eShop. Lift your game Nintendo. Yeah, MSRP for Pilotwings? A game 1.5 years old that averages around $10 now? Nintendo, step your freaking game up. Look at PSN, Steam, XBLA. None of them offer games that old with that much devaluation retailwise for MSRP. Look at Bionic Commando on Steam, went from $60 to $10.